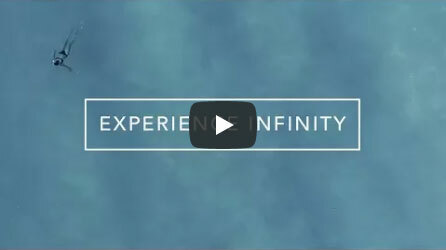 Infinity's Customer First policy signifies our commitment to providing our customers with a world class experience while guiding us as we develop new and innovative means for our customers to unlimit their wellness. From the moment we begin to develop an Infinity product, extending to our marketing and sales efforts, all the way through delivery and support—everything starts with a singular thought: Customer First. When you are ready to purchase your Infinity chair, we look forward to putting you first. We stand behind our products with a 30 day return policy. This means all products purchased directly from Infinity Massage Chairs can be returned within 30 days of receipt. A Return Merchandise Authorization number (RMA) is required in order to return a product. Please contact our customer support team at 603-910-5000, Monday through Thursday, 9 a.m. to 6 p.m., or Friday, 8 a.m. to 5 p.m., to obtain your RMA. The RMA number must be noted on the outside of the returned product boxes. RMAs are valid for 30 days from the issue date. Products must be received in like-new condition, in the original boxes, with all of the original packaging, parts, and accessories. The customer is responsible for any damage to the chair (e.g., scuffs, scratches, odors, spots, and stains), missing parts, and accessories, and may be liable for additional fees. Shipping and handling is not refundable. Prepayment of all shipping charges. All risk of loss or damage to the product while in transit to Infinity Massage Chairs. Infinity will replace the returned product with a new replacement unit or issue a refund at the customer's preference; however, refund or replacement will only be initiated after the returned product is received and inspected by Infinity. If the customer returns the product to Infinity without an RMA from Infinity or beyond the 30 day period, Infinity retains the right to refuse delivery of the returned product. Once Infinity receives the returned product and finds that it meets the requirements listed above, a refund will be issued to the original method of payment less the original shipping charge. All products are subject to a restocking and inspection fee of 15% of the original purchase price. Please allow three to four weeks for the refund to be processed.